Republicans defeated Governor Northam's tax hike and instead will deliver on a promise of $1 billion in tax relief for 4 million Virginians, following Northam's morning announcement that he would abandon his proposal. It appears the recent controversy has taken its toll on Democrats, leaving the governor without the political capital to push an unpopular tax hike in a critical election year. For Virginia taxpayers, tax relief is on the way. The steady stream of scandal surrounding embattled Virginia Governor Ralph Northam appears to have taken its toll on the Democratic leader’s resolve, culminating in an early morning surrender to the GOP on taxes and spending. After months of fiscal battles, the governor announced he would abandon his plan to pass a $1.2 billion tax hike on 600,000 middle class taxpayers, which he used as the basis for $2.2 billion in proposed spending increases. The plan would allow the Commonwealth to begin processing tax returns as filing season continues. Between the abortion controversy and the governor’s blackface scandal, it appears Northam has run out of political capital to push his tax hike in a critical election year, where all 140 members of Virginia’s House of Delegates and state Senate are on the ballot. Public polling shows the governor’s tax hike to be unpopular with voters. As recently as December, 59% of voters supported the GOP’s plan for tax relief, with only 29% preferring Northam’s plan to raise taxes and spend the money, according to numbers from the Thomas Jefferson Institute for Public Policy. The tax relief plan, announced jointly by House and Senate Republicans, would provide nearly $1 billion in tax relief to over 4 million Virginians. Under the plan, Virginia’s standard deduction would be increased by 50%, rising from $3000 to $4500 for individuals, and from $6000 to $9000 for couples. 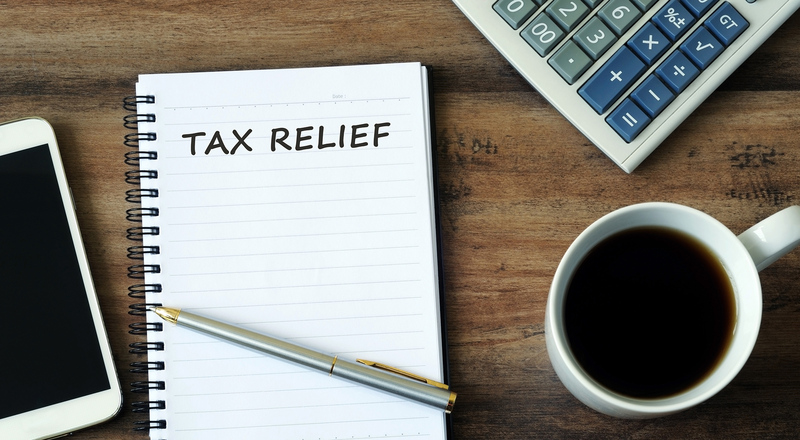 This provision would primarily benefit lower and middle income taxpayers, as the benefit applies across the board, and only 6.5% of filers with incomes over $200,000 itemize, according to IRS statistics. The GOP plan would provide additional tax refunds of $110 for individuals and $220 for couples, in October of 2019, totaling $420 million in tax relief. According to the plan’s details, 70% of all rebates will go to taxpayers making $100,000 or less. The plan would also preserve existing state law on the deductibility of state and local taxes (SALT). With Northam’s announcement this morning, Republican leaders said they have delivered on a key promise to return all $976 million of monies from the Tax Cuts and Jobs Act (TCJA) to Virginia taxpayers. Despite providing tax relief, House Republicans were also able to secure a 5% pay raise for teachers, which will be included in the final budget. “This is a fiscally responsible approach to tax relief that will safeguard our state’s prestigious AAA bond rating and still ensure that there is sufficient revenue to make targeted investments in our core priorities,” noted Senator Emmett Hanger (R-Augusta), Co-Chairman of the Senate Finance Committee. The repercussions for November’s elections could be decisive. By failing to deliver on a signature promise for the legislative session, Northam and Democratic allies have no record of success with which to motivate the party’s base. Instead, the governor has been forced to abandon an unpopular proposal in hopes of his party facing one fewer controversy with voters in the fall. Adding to the Democratic failures this year were a complete defeat of all gun control legislation in the House, as well as the highly-publicized failure of Delegate Kathy Tran’s (D-Springfield) 40 week abortion bill, backed by Northam, which ignited a backlash against Democrats and resulted in a fellow medical school student of Northam’s surfacing the racist photo from his college yearbook. The failure is a setback for House Democrats under Minority Leader Eileen Filler-Corn (D-Springfield) who at one point claimed there was no tax hike in the governor’s budget plan. Added to the sexual assault allegations swirling against Lieutenant Governor Justin Fairfax, as well as an admission of wearing blackface from Attorney General Mark Herring, Democrats appear to be in disarray as the legislature begins wrapping up the 2019 session post-crossover. The General Assembly is expected to vote on the legislation shortly and send it to Governor Northam’s desk for his approval.